Electronic Pull-Tabs – Electronic Game Solutions, Inc. The EGS Booty Chaser Linked Bingo and Electronic Pull-tab System is available to all Licensed Charitable Organizations in the state of Minnesota. 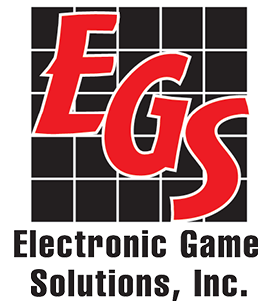 EGS works with the Organization and their Paper Pull-tab Distributor to install and train the staff on the System at their Charitable Gaming Sites. There is no charge to the Charitable Gaming Organization or the Charitable Gaming Site to install the EGS System. A 40″ Television which displays continual promotion for the Electronic Pull-tabs, Linked Bingo and Charitable Gaming Sites and Charities. It also shows the Linked Bingo game in progress and the location of each Linked Bingo Winner. Players purchase credits (Cash Only) from the Booth Attendant or the Bar Staff and they are loaded onto a handset. The player then takes the handset to their table and starts playing. They have the option of playing Booty Chaser Linked Bingo or Electronic Pull-tabs on the same handset. They may cash out their credits at anytime except if they are in the middle of an E-tab Bonus Round. They must complete the game before cashing out. The player is paid in cash from the Electronics Bank on site for any E-tab win. The EGS Electronic Pull-tabs are played on the same unit as the Linked Bingo. They are NOT linked to other Charitable Gaming Sites. Each E-tab Deal is individual to each site just like a paper pull-tab deal. They are finite games with 7,500 tickets. The deals have a set number of winning and losing tickets. There are numerous games offered with ticket prices from $0.25, $05.0, $1.00, $2.00 $3.00 and $5.00. The E-tabs have a payout percentage of 85% when all tickets are played. The Charitable Organization has the option to chose which games are offered at the site. E-tab winners are not posted. The Charitable Gaming Organization can close E-tab games at anytime just like a paper pull-tab game or they can let the system Auto Close a game within the parameters specified.